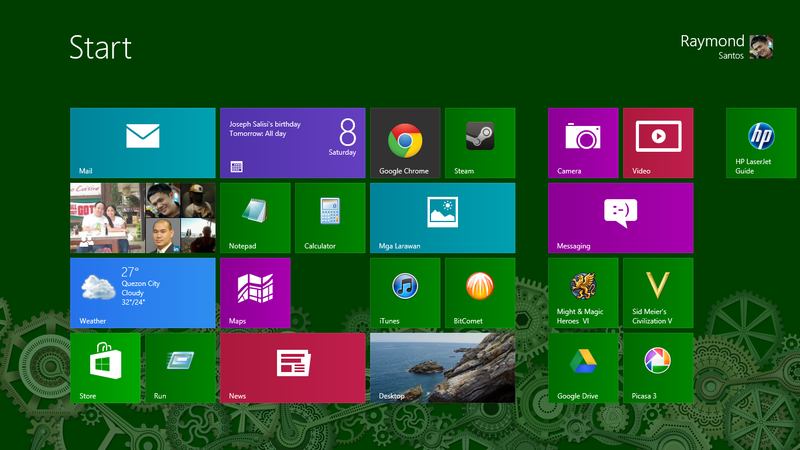 Just finished installing and "skimming" through Microsoft's newest operating system, Windows 8. Overall, I think it's good but not great. 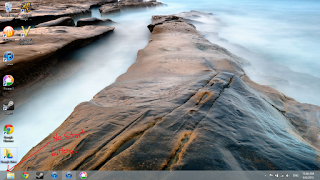 Two key factors that are glaringly different from previous versions of Windows are: (1) the new "Metro/Modern UI", and (2) the lack of Start Menu in "Desktop" interface. Windows 8 is due for commercial launch on October 26. Developers and manufacturers, however, were already provided with Released-to-Manufacturing (RTM) version of the OS last August 1. Install time is pretty impressive, just around 30 minutes of installation and configuration, from putting the DVD in the drive to being operational and in ready-to-use state. This includes formatting and partitioning of hard drive, installation of OS, setting up a new Microsoft account, and customizing the user interface (keyboard, language, background image, color scheme). (Note: I read in Techradar that installing the OS using USB, Solid-State Drive (SSD), and probably a faster Internet connection, in a Core i5 PC takes up just 15 minutes). The boot screen appeared for about 1 to 2 minutes. Next step was to enter the product key and select a hard drive and partition to install the system. Since I have an existing OS and I can't upgrade it to Windows 8, I decided to just delete all the existing partitions and let Windows create new ones. One key observation: similar to buying a new phone or tablet with iOS or Android, I was asked to register or use an existing Microsoft Account (this can be hotmail, windows live, etc.). This can be used to synchronize the user's settings, files, and applications, among others, with his/her other Windows 8 devices (including ARM-based devices such as tablet PCs). I think this is MS' big offensive against iOS and Android, which is clever but a little bit annoying (I'll explain later). MS is basically leveraging its huge market share in the PC industry to gain ground in the mobile/tablet arena. Since the OS now caters to two markets, Windows 8 provides two user interfaces: first (and default) is Modern UI ("code named" Metro UI during development), while the second is the classic Desktop UI, sans the Start Menu. I'll describe the Desktop UI first. It is basically the classic user interface we've been using since Windows 95, icons in the screen and the ever-useful task bar. What's missing, though, are the Start button and Start Menu. If you hover your mouse in the lower left corner of the screen (where the Start button was usually located), you will see a preview of the "Start Page", or in other words, the Modern UI. Clicking here will basically open the Modern UI. Installing applications using the Desktop is basically the same as in previous versions. One difference, however, is instead of creating entries in the Start Menu, tiles will be created in the Start Page for the application. Look Ma, No Start Button! Modern UI is, imho, optimized and intended for use in tablet PCs using touch screen input. 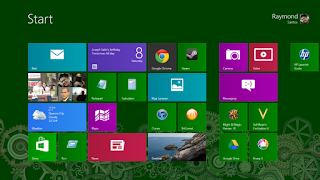 It provides users with big tiles representing applications and settings. In fairness, applications designed for the Metro UI are quite "nice" and "polished". The annoying part: if an application is not Metro-optimized, it will switch to Desktop UI before running, which gives me the impression that I am working in two different environments/computers. Aside from this "dual personality" issue, I'm very satisfied with the performance of Windows 8. Start-up and shutdown is noticeably faster compared with my Windows 7 machine (with similar specs and applications installed). I like the integration of different accounts (e.g., Facebook, Google, Twitter) into one "Contacts" application where I can quickly see my address book (Google) and friends (Facebook) in one page. Updates from my Facebook and Twitter can also be seen in one page. I'll continue testing the OS and (hopefully) post another update soon.